Even though almost all visitors to Peru fly into Lima, it is a relatively overlooked South American city. A lot of people stay there only to use it as a gateway to the more popular cities of Cusco and Arequipa. However, I would strongly recommend spending a couple days or more exploring Lima. There are many sites to see not only in the historic center but also in the area of Miraflores. 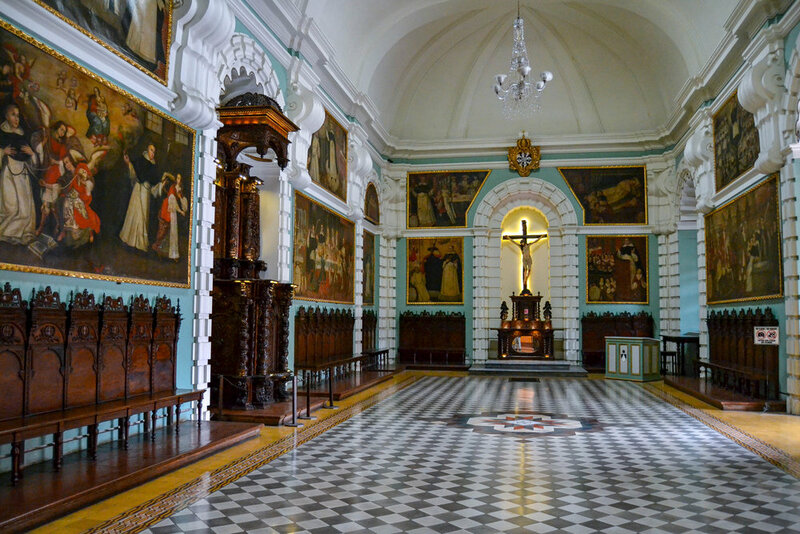 Because of its long colonial history, the historic center of Lima is filled with many architecturally-beautiful churches that a visitor should not miss. Here are 6 beautiful churches of Lima that a visitor should not miss during their time in the city. Please enjoy the photo galleries! All pictures were taken by me using a DSLR and iPhone. Lima Cathedral is located in the Plaza de Armas along with the Palace of the Archbishop. Both of these buildings are impossible to miss since they, along with the Government House, dominate the Plaza. 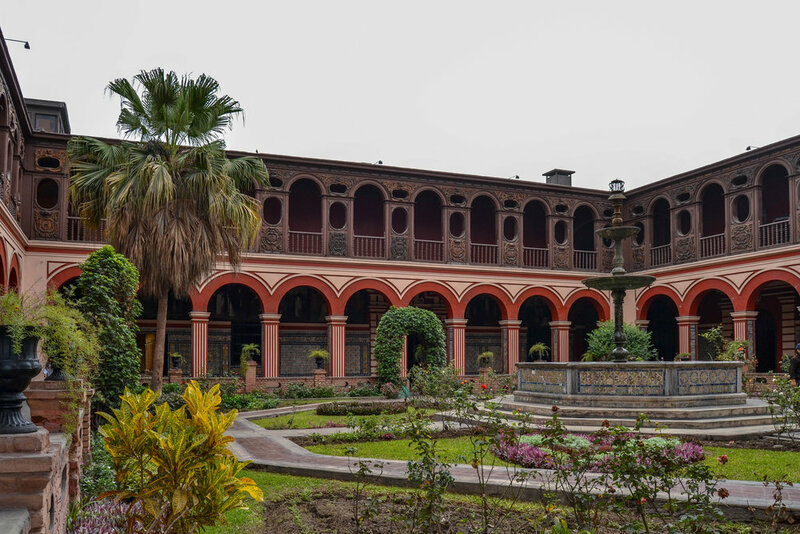 The central location of the Cathedral and Archbishop’s Palace within the historic center makes it an ideal location to base your exploration of Lima since all the major roads around the area lead back to the Plaza. Plus, all the other churches on this list are within very easy walking distance from the Cathedral and Archbishop’s Palace, so a visitor never has to venture too far to find another treasure. There is an admission fee for the Cathedral, but it is also possible to get a combined ticket for the both the Archbishop’s Palace and the Cathedral for 30 soles. If you choose to do one or the other, it will be 20 soles. Personally, I would recommend the combined ticket since both sites are definitely worth seeing and checking out. All you have to do is request a combined ticket and then show the ticket to the attendant in the Cathedral once you finish checking out the Palace. La Iglesia de la Merced (Minor Basilica and Convent of Nuestra Señora de la Merced) is a 16th century church located just south of Plaza de Armas and very close to the Metropolitano station, Jiron de la Unión. It stands in a small plaza just before Plaza de Armas. 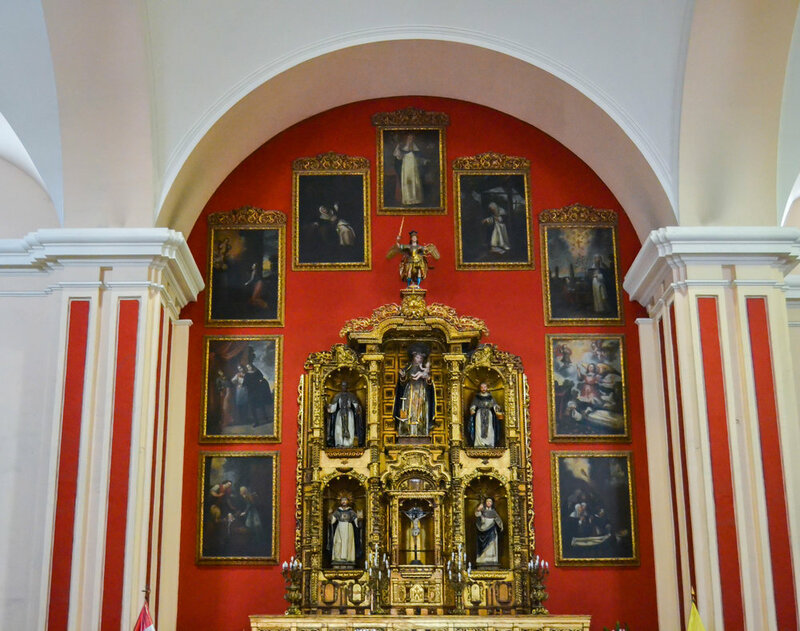 The church is noteworthy for its incredibly detailed and decorated Churrigueresque facade that faces out on Plazuela de Merced. Even if the church is closed, it is still possible to take in the intricate stone carvings that adorn the exterior. However, if the door is open, I would definitely recommend checking out the interior. Many of the altars are quite impressive and a veritable feast for the eyes. The church and convent of San Francisco is a large church complex just northeast of Plaza de Armas. All one has to do is walk north along Carabaya past the Goverment House in Plaza de Armas until you reach La Casa de la Literatura (The House of Literature) at the end of the street. It is impossible to miss. You then turn right onto Ancash, and you will soon find yourself outside the church. During my time in Lima, I only found the church open on Sunday for religious services, so it is entirely possible that the main church is kept closed for most of the week except for Sunday. However, the museum, which is just adjacent to the church is always open. For a price of 15 soles, you get a guided tour (required) in either English or Spanish. The tour lasts for 30 minutes and, the guide will take you into the catacombs of the church where you can see skeletal remains. It is quite fascinating to hear the history of the church and of how the early residents of Lima were buried. The Church of St. Dominic is another large and famous church that is located in the historic center just west of Plaza de Armas. In order to reach the church from Plaza de Armas, just walk past the Government House and past the small Plaza de Peru. Within a couple minutes, you will find yourself in front of the large and imposing salmon-colored church. The church is always open since it holds the earthly remains of St. Rose of Lima, St. Martin de Porres, and St. John Macia. These were three Peruvian saints of the 16th and early 17th century, and today, the site is a major pilgrimage site for the devout. 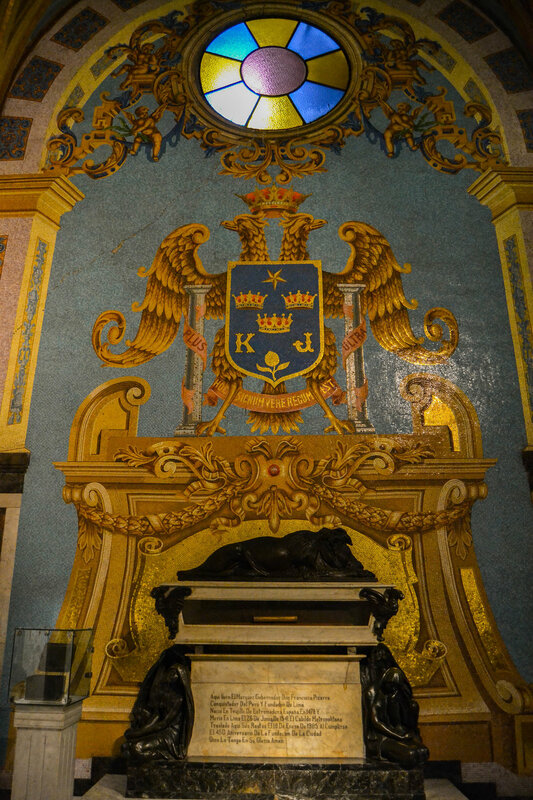 The church holds a shrine near the high altar that holds the skulls of St. Rose of Lima and St. Martin de Porres. 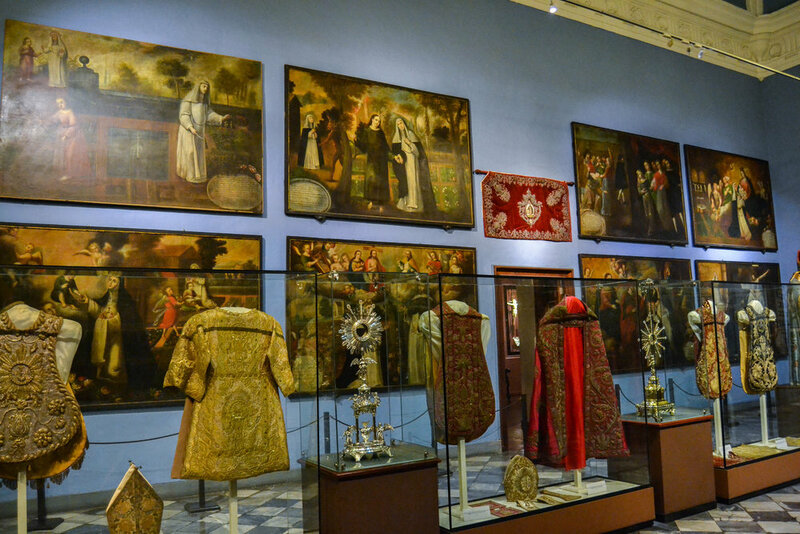 The Museum of Santo Domingo, which is attached to the church, is definitely worth paying a visit since there is a lot to see, such as the tombs of St. Rose of Lima and St. Martin de Porres, the colorful azulejo tiles in the cloister, and the covent’s library. In addition, it is possible to go up to the belltower with a guide to get a wonderful view of Lima. During my visit there, I visited the museum without a guide, but a staff member tracked me down and asked if I wanted to quickly join another group to see the belltower. I was quite surprised they took it upon themselves to find me since there were many other people in the museum, but it was definitely a nice gesture that was appreciated. The Sanctuary of St. Rose of Lima is a church that is built on the location of where St. Rose of Lima was born and lived in the sixteenth and early seventeenth century, and where she established a hospital to treat the poor. Its red color stands out and makes it very easy to find. The church itself is relatively basic and can be seen fairly quickly. However, it is also worth stopping into the courtyard to see the room where St. Rose of Lima lived and the wishing well where people throw coins in and drop handwritten notes and prayer intentions. In addition, just across the street (Callao) facing the church is the house of St. Martin de Porres. 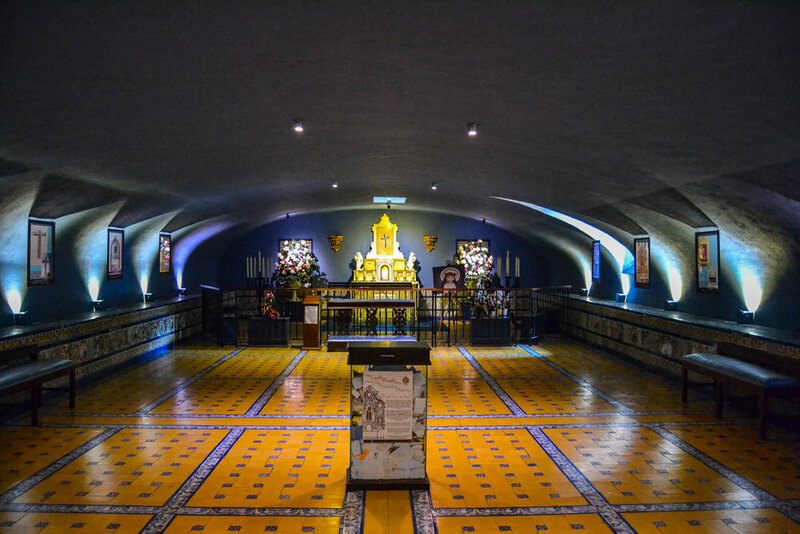 There is a small museum inside about the life of the saint, which can be seen within about 15-20 minutes for a very cheap price, so it is extremely easy to see both the Sanctuary of St. Rose of Lima and the house of St. Martin de Porres since they are in such close proximity to each other. 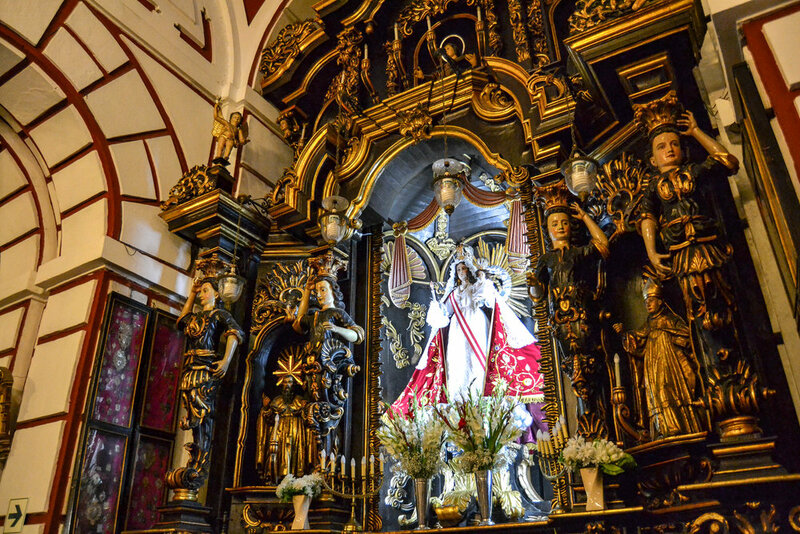 The church of San Pedro is a 17th century church located southeast of Plaza de Armas along Ucayali street, which will lead a visitor straight to Lima’s Chinatown if one walks continues walking east on the street. The church does not seem to be open often, and the time I found it open was on Sunday. Mass had just concluded, and the caretaker was quickly moving people out. Therefore, I only had a few minutes to check it out and snap some pictures. Initially, I thought I would be able to return again another day and look at everything in more detail. 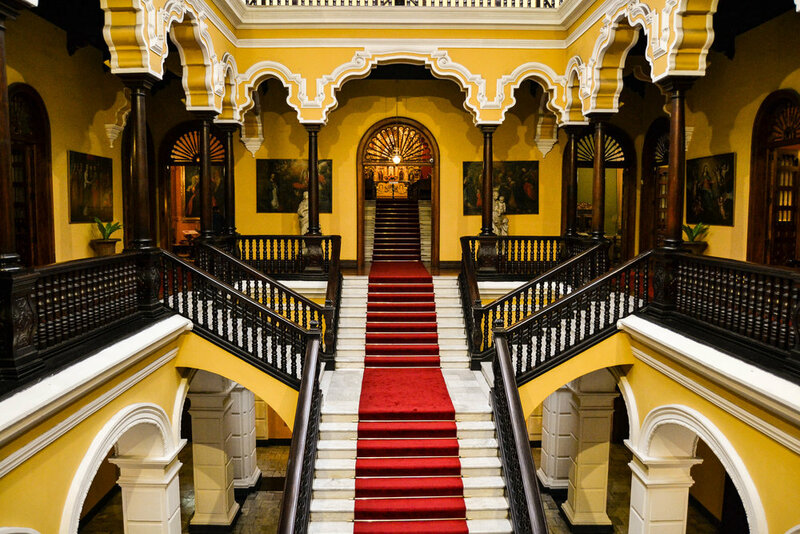 However, each time I returned during the rest of my time in Lima, the doors and gate were always closed, so if you should see the doors open, I would recommend stopping in to check out the interior, it is definitely worth it and quite breathtaking. I only wish I could have had more time to thoroughly explore and walk around, but the caretaker was intent on closing up for the day.